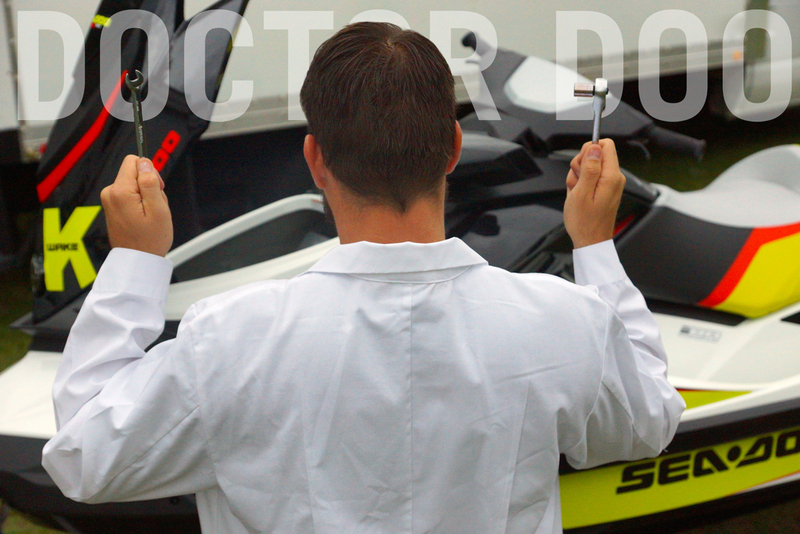 Dr. Doo wants you to keep your energy up during the offseason so your Sea-Doo watercraft is in tip-top shape when spring arrives. 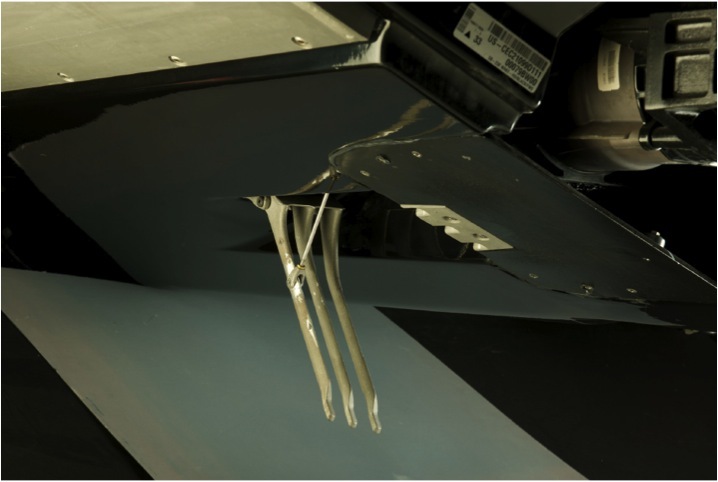 This monthly blog will include tips and insight on seasonal maintenance, systems care, and the products to help maximize your Sea-Doo Life. The winter cold is tough on batteries. 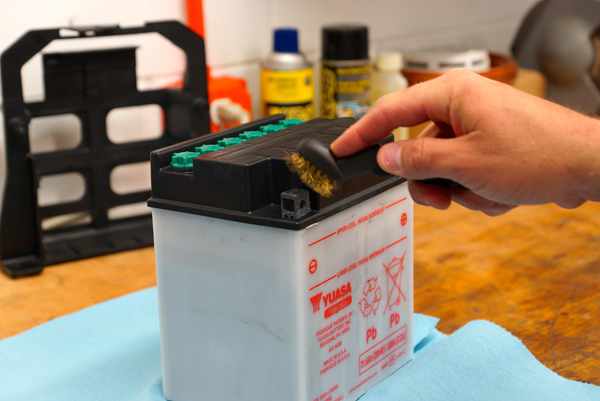 It’s important to take the proper preventive maintenance steps to ensure your battery is healthy and ready-to-go when you take your watercraft out of hibernation. Your Rotax engine requires much more current from your battery to turn over when it’s cold due to the thickening of the oil. Colder temperatures slow the chemical reactions that generate electricity. 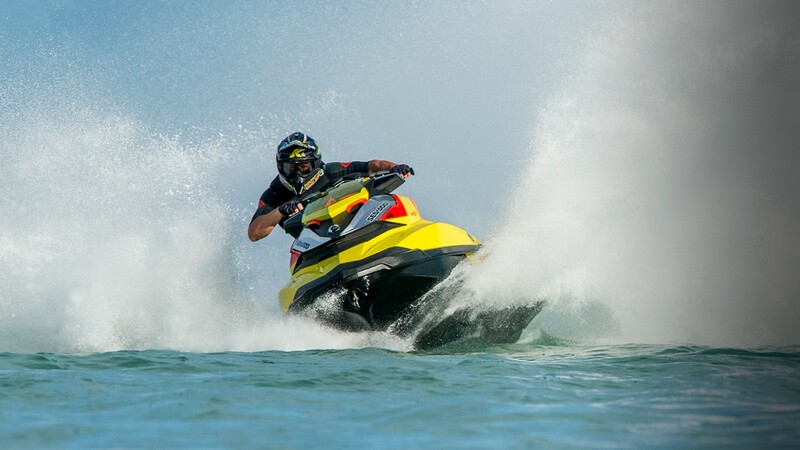 Although you may not be using your Sea-Doo watercraft in the cooler months as often, or at all, these tips from Dr. Doo will help ensure you keep the energy up with your electrical system. Give your battery a visual check-up. Ensure your Sea-Doo battery terminals are corrosion free. Take a detailed look at the battery casing, looking for damage such as cracks or leaks. 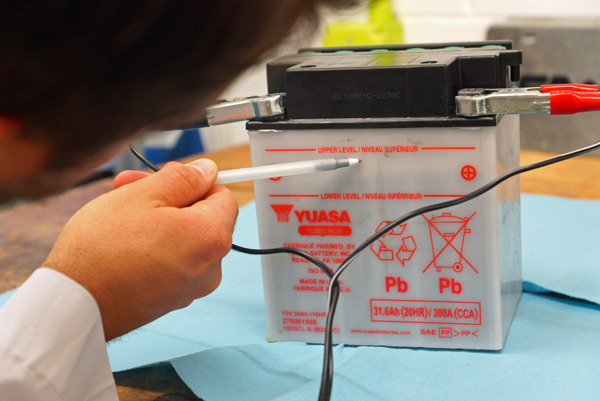 If you find any “flaws” in the battery, replace it immediately as a damaged battery can cause operational problems. The battery terminals (where the cables attach to the battery) should be clean, free of corrosion and the cable ends should be securely attached with no “wiggle.” Also, check the cables themselves for damage or wear. If there is any exposed metal of the wiring, replace that section. 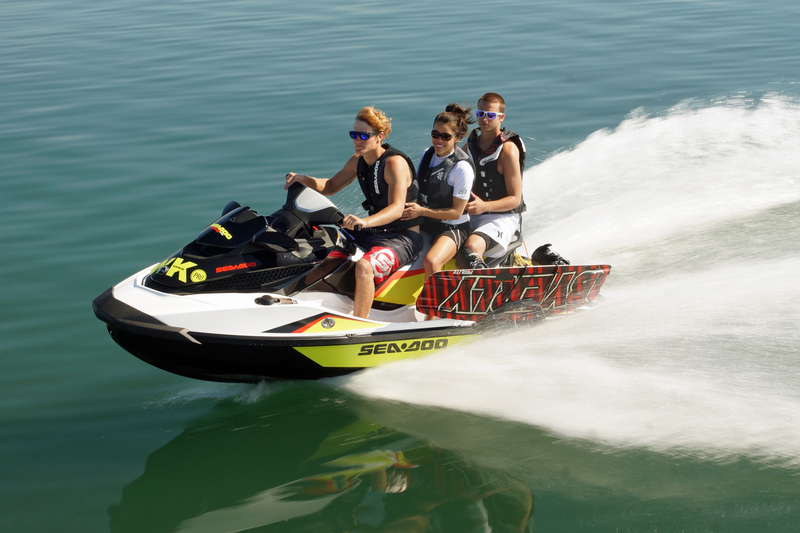 A certified BRP Sea-Doo watercraft technician should check any battery three years old or older. The tech can conduct a cold cranking power test (CCA test) to measure the amount of power (amperage) the battery is able to produce for half a minute in cooler temperatures. A battery should produce a minimum voltage of 7.3 volts even at freezing. If the battery falls below these minimum standards, it’s time to purchase a new Yuasa° battery from an authorized BRP/Sea-Doo dealer. Keep it warm if possible. Providing a protected environment away from freezing temperatures and frigid winds can help keep the energy levels up. If possible, store your watercraft inside a garage or closed storage area. 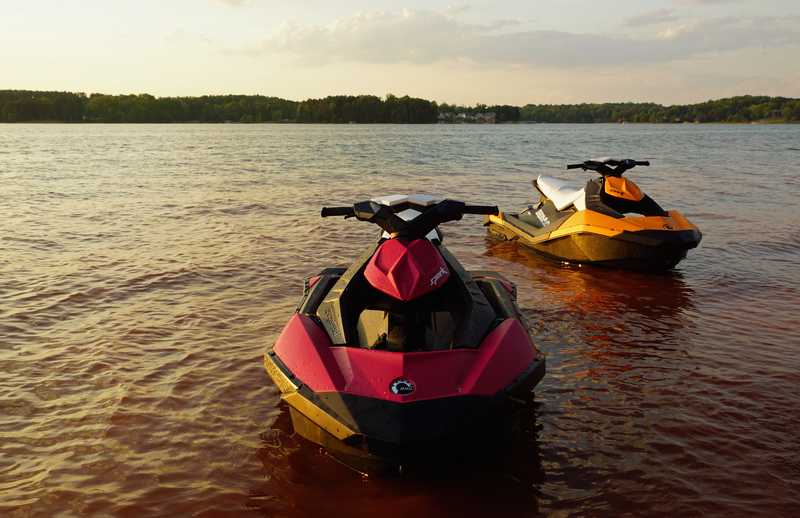 If storing your Sea-Doo watercraft inside isn’t possible you may want to consider removing your battery and storing it in your garage during the winter. When storing your battery, be sure to cover your terminals with a rubber cover or in a cardboard box to avoid possible arcing. 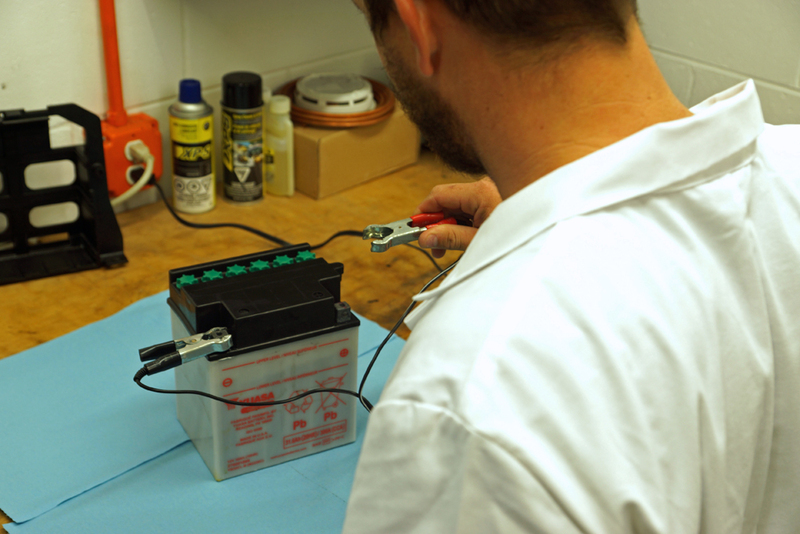 A “Smart” battery charger will maintain proper charge over extended times of non-use. An IV for your battery. To help ensure your battery maintains healthy energy levels Dr. Doo prescribes you utilize a smart battery charger. These tools are designed for this use and won’t overcharge your battery and ensure they are at maximum strength when it’s go time. These tools can also be used for your other motorized vehicles that utilize a 6-volt or 12-volt system. 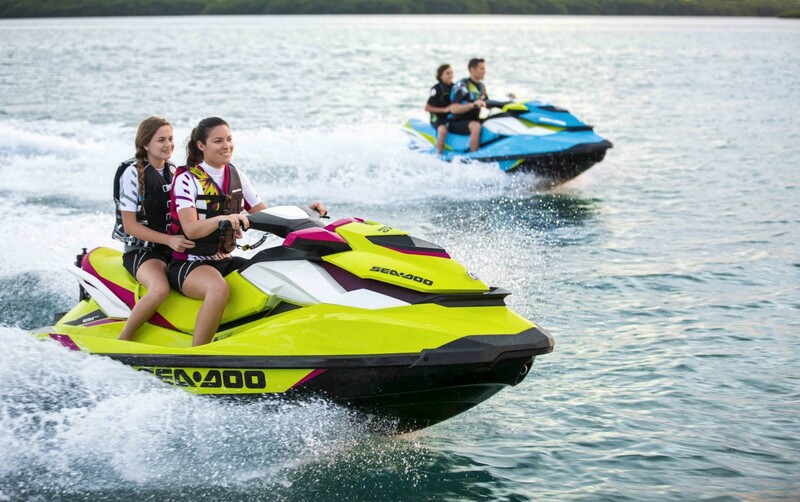 Keeping up the energy during the long winter months is challenging but with Dr. Doo’s How-To tips to live the best Sea-Doo Life, your watercraft battery will receive a complete clean bill of health. 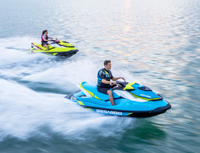 BRP’s Sea-Doo GTI watercraft lineup features a watercraft for every rider experience level, riding style and personal preference. From the entry-level GTS 130 model, to the accessory-rich GTI Limited 155 model, the GTI segment includes features and technology sure to inspire any level of recreational rider. The three-time “Ski of the Year” winning GTI segment leads the marine industry, with a class-leading list of standard features and ride quality, offering riders more control with a nimble and forgiving hull, that works in conjunction with the industry-exclusive Intelligent Brake and Reverse (iBR) system1. Starting in neutral, the iBR system allows effortless, hands-on-the-handlebars maneuvering at docks providing more control than any other watercraft. 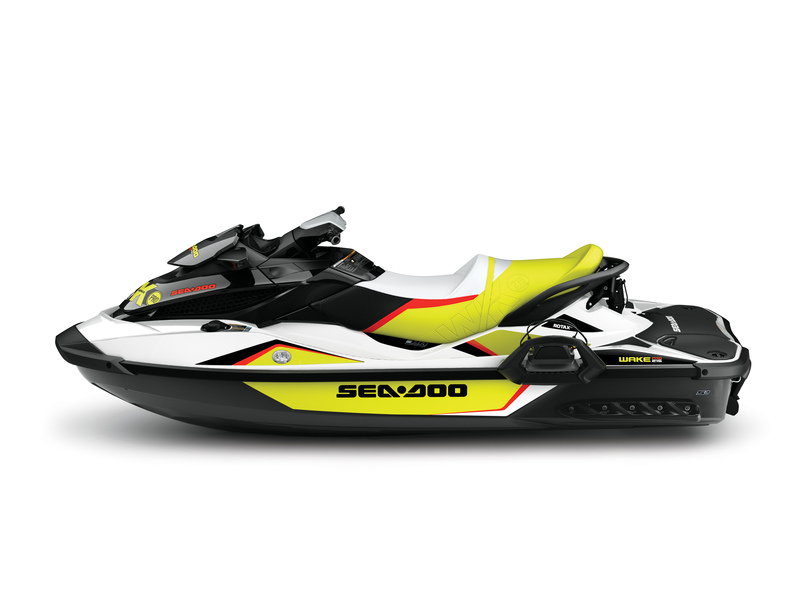 BRP’s Sea-Doo GTI watercraft are larger than Sea-Doo Spark models, offer a fun, forgiving and nimble riding experience with a hull design that offers more stability and more room for up to three passengers. The GTI platform also provides a class-leading 30.8 US gallons (116.6 litres) of storage space and best-in-class fuel economy with BRP’s ECO Mode available on all models. ECO Mode increases fuel economy by up to 46%2, so riders spend extra time, not extra money, on the water. 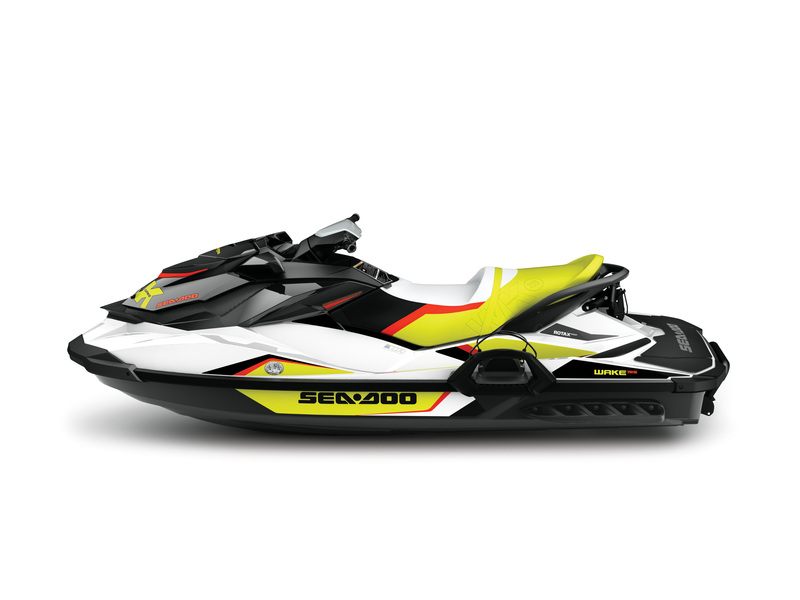 The Sea-Doo Recreation segment conveys BRP’s advanced design philosophies through contemporary flowing facet styling and standout coloration. The GTI platform also incorporates many ergonomic features designed for greater comfort. BRP’s exclusive inward-angled footwell floors keep the rider’s lower legs/feet in-line reducing ankle fatigue. A plush seat provides a narrow distance between the rider’s knees while sitting or standing and an extended rear platform gives the GTI more space for a quick dip in the water and reboarding. BRP’s 2014 Sea-Doo GTS 130 model is a fun and versatile affordable watercraft that comes with standard features usually found on higher-priced models, such as: Intelligent Throttle Control (iTC) technology with Sport, Touring and ECO Modes, allowing riders to choose between three level of power, Off Throttle Assisted Steering (O.T.A.S. 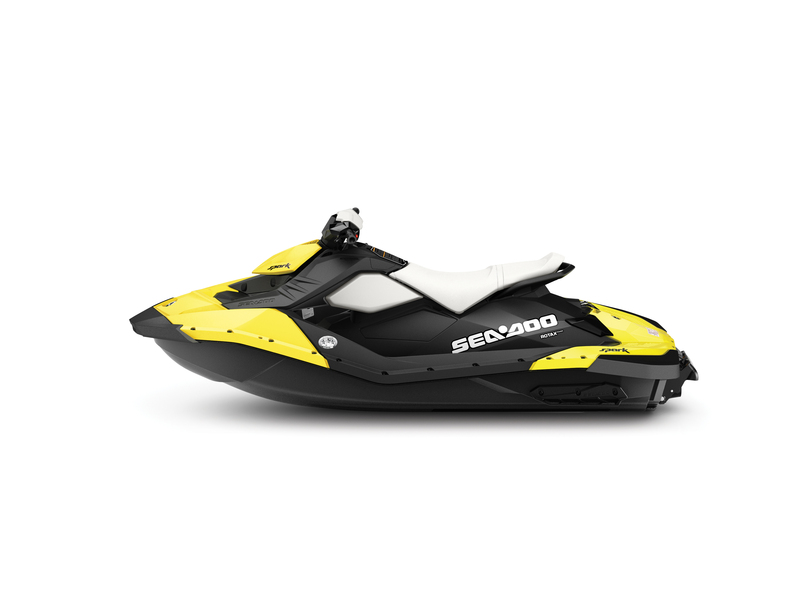 ), Sea-Doo Learning Key and Digitally Encoded Security System (D.E.S.S), Closed Loop Cooling System (CLCS) and rear-view mirrors. The GTS 130 model is available in Lucky Green and is powered by the reliable naturally aspirated Rotax 4-TEC marine engine that makes it nimble yet powerful while remaining fuel-efficient. 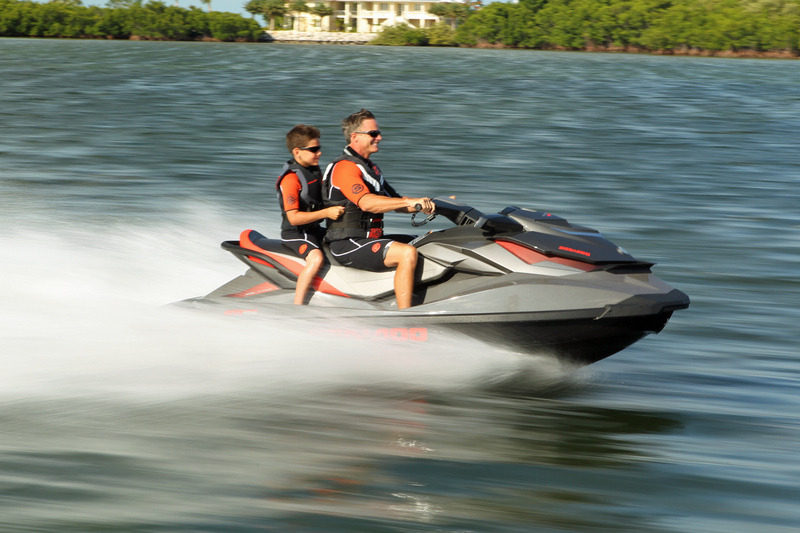 BRP’s Sea-Doo GTI 130 model provides greater peace of mind for watercraft riders and their families with the iBR system for an added level of maneuverability. 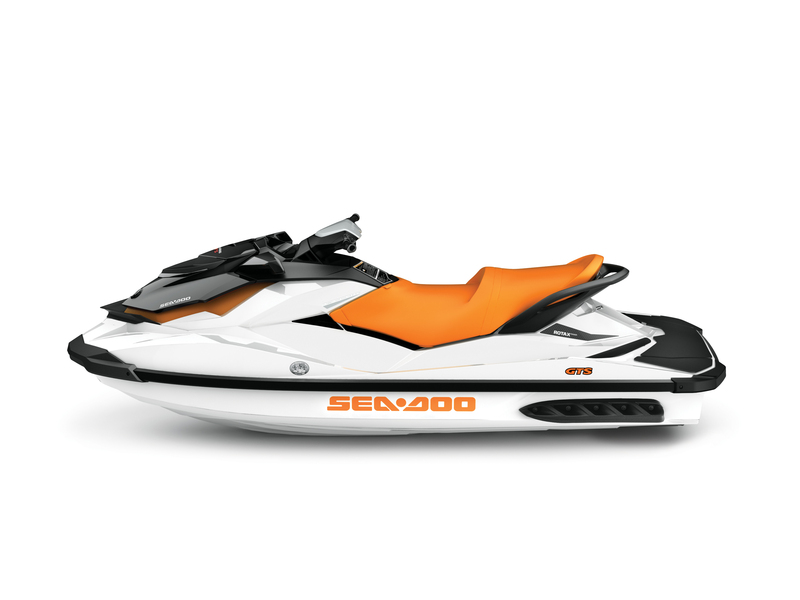 The Sea-Doo GTI 130 model was chosen as “Ski of the Year” in 2013 by PWCToday.com for offering “the best combination of features, power and handling” and “its price allows the widest possible audience to get in on all of the fun.” In 2014, it is available in Black & White and Lucky Green colorations. 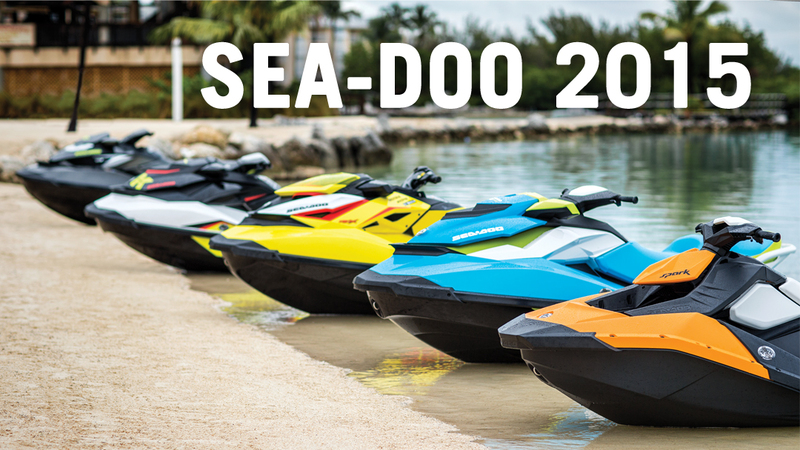 With BRP’s 2014 Sea-Doo GTI SE 130/155 models, fun and peace of mind for the whole family has never been easier. North America’s best-selling family watercraft3 adds a plush touring seat with extra lumbar support for driver and passenger, a fold-down reboarding step and the Variable Trim System (VTS), allowing riders to adjust the attitude of the watercraft according to rider preferences and water conditions. 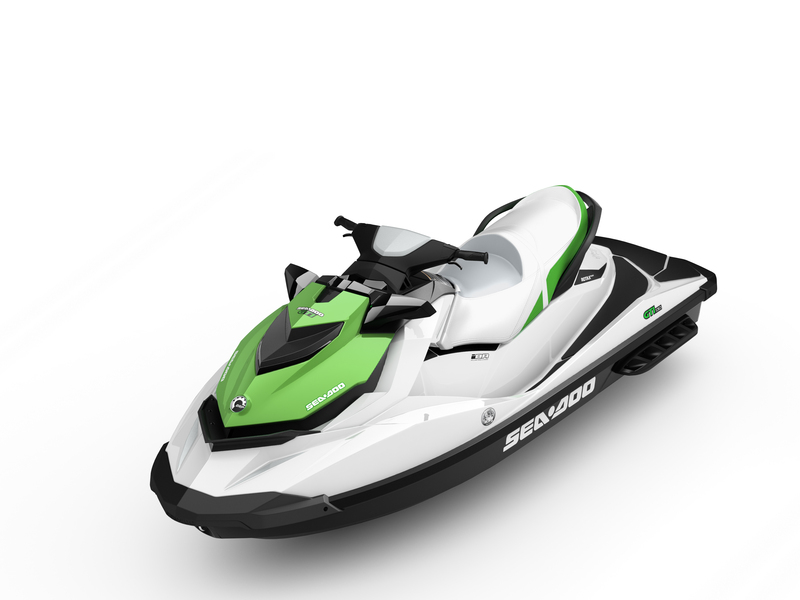 The GTI SE model comes in two different engine configurations; the GTI SE 130 & 155 models are available in the Black & Sunshine coloration, the GTI SE 130 watercraft adds a Lucky Green color option. 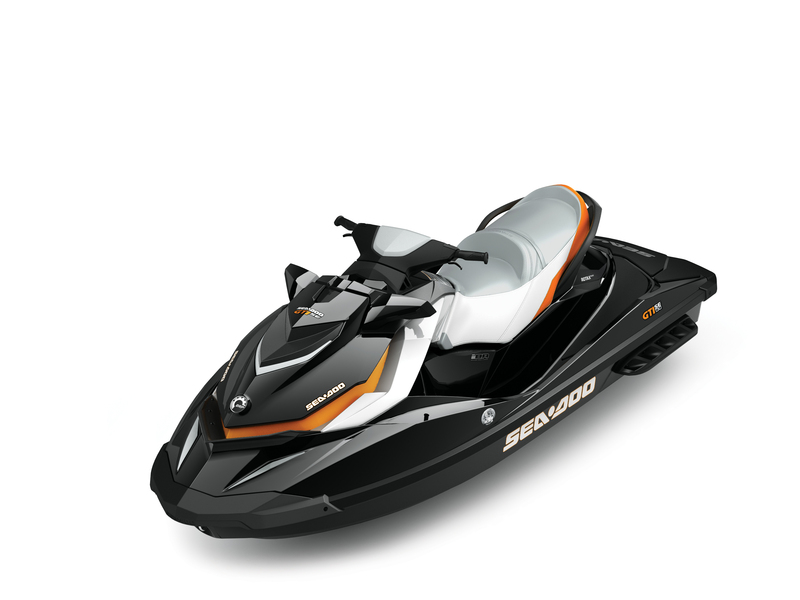 BRP’s Sea-Doo GTI Limited 155 model is a striking, fully equipped watercraft available in Anthracite Grey. The GTI Limited 155 model is loaded with premium features and accessories that offer increased comfort. It comes with everything included in the GTI SE 130/155 model, plus a ski tow eye and the high-performance VTS with a toggle switch on the handlebar allowing riders to fine-tune handling thanks to pre-set positions available right at their fingertips. The Limited package also includes exclusive features such as a custom cover, a removable dry storage bag, a safety kit and additional gauge functions, such as Cruise Control / Slow mode, altitude indicator and time / distance to empty. Valcourt, Québec – For a decade, BRP’s design and innovation (D&I) team has consistently won design awards from globally recognised design institutions. This year the company received two red dot awards and three Good Design awards. The Red Dot Design Awards is a prestigious international design competition based in Germany. More than 1,800 manufacturers and designers from 58 countries submitted a total of 4,515 product designs to this year’s competition. BRP’s Can-Am Outlander ATV and Sea-Doo RXP-X won in the transportation category. These awards bring BRP’s total to 14 Red Dot awards since 2005. The historic Good Design awards, the oldest and most important award program worldwide, are hosted by the Chicago Athenaeum: Museum of Architecture and Design and the European Centre for Architecture Art Design and Urban Studies. Thousands of manufacturers from 38 countries submitted their products. BRP took home three Good Design awards this year for the Sea-Doo GTI 130 PWC, the Can-Am Commander side-by-side vehicle and the Ski-Doo Skandic Tundra LT ACE 600 snowmobile. These wins now brig BRP’s total to six Good Design awards. To add to this recognition, the D&I team designed and developed, for the second year in a row, the F1 Grand Prix du Canada trophies. 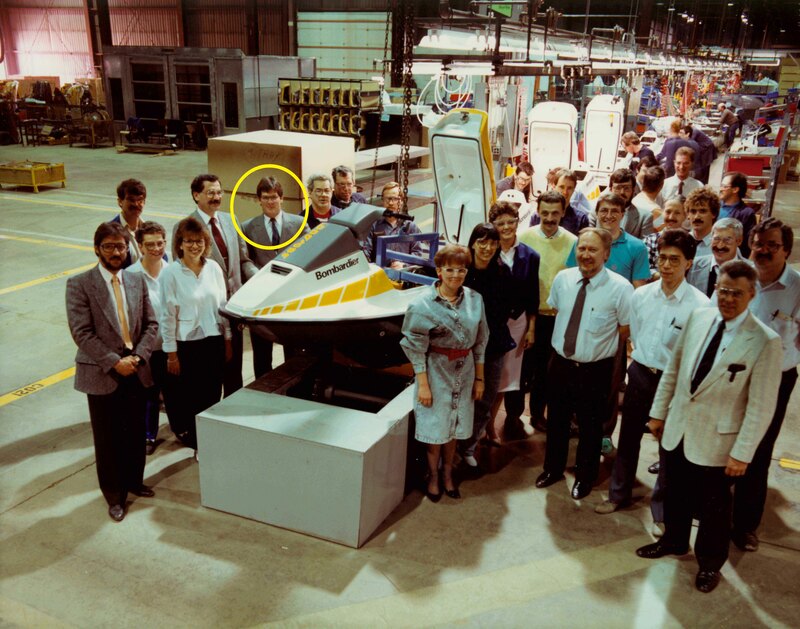 BRP’s design team was selected last year to develop the model. “Our products are renowned worldwide for their design and innovation,” said Denys Lapointe, executive vice-president, Design & Innovation. “Our group has garnered more than 35 international design awards. Being recognised by the International design community brings an enormous amount of pride to all designers at BRP”.